Home » Sustainable development » Animals save the Planet, what about you ? Animals save the Planet, what about you ? I recently discovered a series of a dozen cartoons that have a serious potential to turn both young and older citizens into environmentally responsible ones. 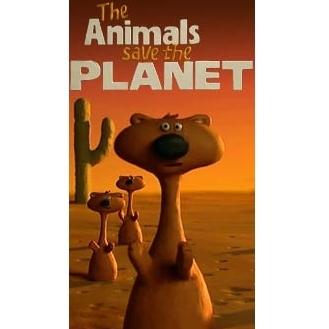 Animals save the Planet propose in each very short yet hilarious episode a gesture that is easy to both remember and to do. Step by step, you will learn to save water, energy as well as many other gestures that will help in preserving their – and ours by the way – planet. 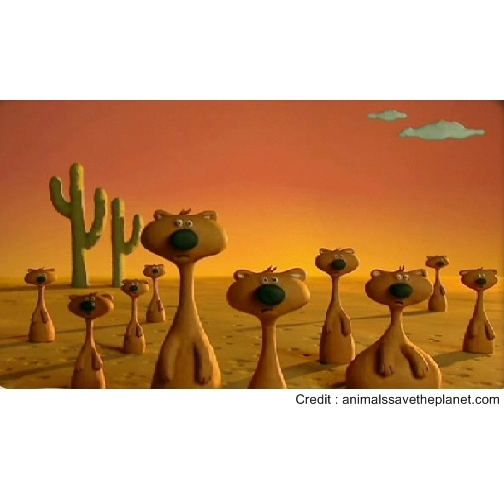 ‘The Animals Save the Planet’ are a series of humorous animated short films that feature tips from animals on how to live an eco-friendly lifestyle. Produced for Animal Planet by Academy Award-winning studio Aardman Animations (Wallace & Gromit; Chicken Run), ‘The Animals Save the Planet’ is a funny, engaging series of eleven short clay animation films that feature animals, in their own habitats, demonstrating how everyone can make a difference by practicing a greener lifestyle. As humans continue to damage the environment and animal habitat, viewers can watch as some of their favourite creatures speak up, providing useful and positive tips on living a cleaner lifestyle. These include a penguin who discovers how much effort energy-saving light bulbs can save him, a cow who learns about the environmental impact of his own methane gas and a pug dog who realizes that by turning off electrical appliances in the evenings he will finally get a better night’s sleep. Each entertaining character reveals that by altering our lifestyles just a little, we can all begin to make a big difference. And if you hadn’t enough after watching the episodes, there are also a couple of downloads that might bring you some fun and colours to your computer. Definitively a bright idea that reminds me from the Jiffy’s Eco Quiz.